The food guide pyramid is a guide that helps people understand what foods do what for you as well as ones that are healthy and not so healthy for us. This tells us that a good and balanced diet is one that includes something from each food group. The new food group pyramid is here to help you plan out a healthy way of eating. The things that are not on the pyramid should probably try to be avoided, especially if you are trying to keep and maintain a good physique. The new food group pyramid tells you everything you are going to need to know about different foods. It has been changed around a good deal. It now looks like a person running up a set of stairs. The pyramid has rows that are colored with categories at the bottom stating what each on on is for. It has been modified for people to remain healthier and take care of your body. Below I am going to post up a picture of the new food pyramid, along with a picture of the old one so you can see what they have modified on it. 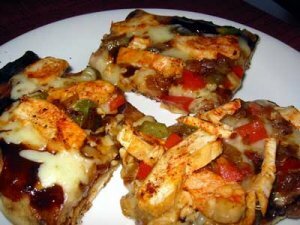 One thing to remember is that all of the food groups presented on the pyramids are just as healthy for you as the other is. You need a little of all of them to get the vitamins and nutrients in your diet.Unlike the old food pyramid which stressed eating small portions of some groups while eating larger portions of others. This is an image of the new food guide pyramid. In this pyramid The groups are all colored to represent different food categories and how much you need. The big orange stripe is for all of the grains you need. This is the biggest strip. The green strip is for the vegetables and is the second biggest category. The red strip is for your fruit intake. The blue strip is for all milk products you need. The small and thin yellow strip is for different oils. The purple strip is for different meats and beans you need in your diet to remain strong and healthy. This is an image of the old food guide pyramid. This is just a pyramid that is sectioned off by the different categories of food groups you should be consuming every day to maintain a healthy way of life. The very top of the pyramid is where all of the bad things you should not be eating is at. On the next row to the left is a square for the milk intake we need. To the left of the milk is meats and how much you should eat a day. The next row to the left again is a square for vegetable intake. In the right square it says how much fruit you should be eating. Now on the very last square which is the biggest it says how much breads and grains you should have. By following the new food pyramid you will be sure to get all of the vitamins and nutrients that your body requires to stay healthy and live a long and happy life. 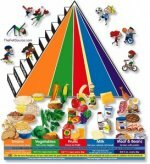 Share a link to a page on New Food Group Pyramid and we will consider it for placement on this page.